Celebrities always feel a bit out of reach, right? Sometimes, we look at them as these completely untouchable objects, these forces to be reckoned with, these beautiful beings we couldn't possibly relate to. Sure, the "Stars! They're just like us!" mentality has reached new heights since many have taken to Twitter to tweet their thoughts or to Instagram to post a glimpse into their day-to-day lives. But when a celebrity takes the time during an interview to talk about his or her mama? We see a completely different — human — side to them. 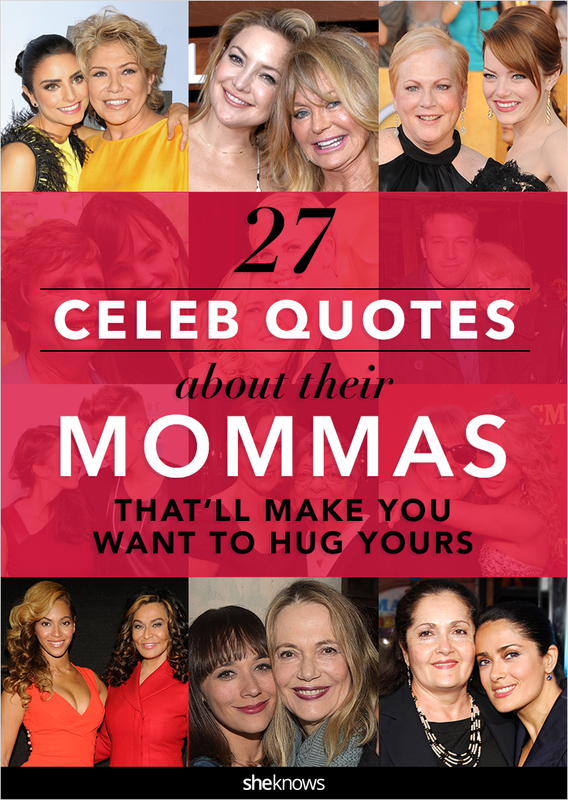 Case in point: These 27 times celebs spoke out about just how much they love, adore and cherish their moms. 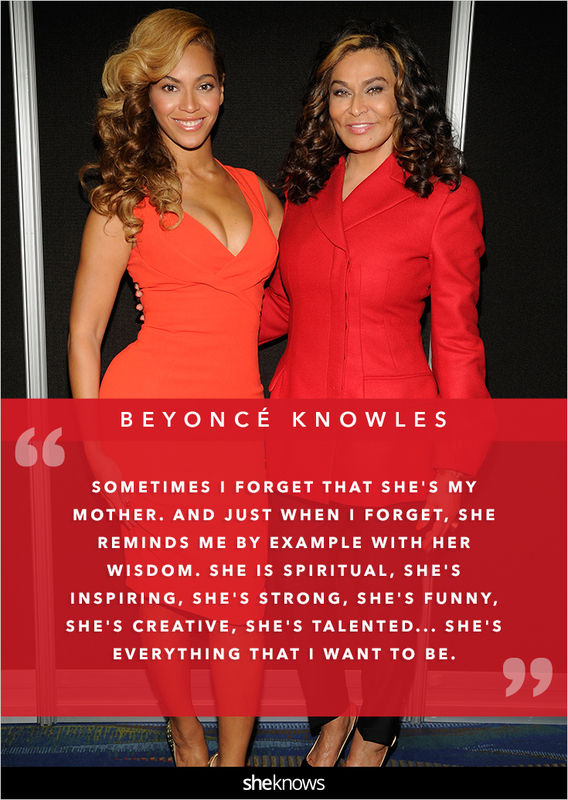 From Beyoncé speaking about her wise, strong mom, Tina Knowles, and Demi Lovato calling her mother her anchor to Emma Stone describing her mother as her "emotional barometer" and her guidance, these quotes will give you all the feels and remind you just how important Mom truly is. Aislinn was proud to share with us that her mom taught her to keep calm and carry on. We can always turn to our mom to help keep us centered. 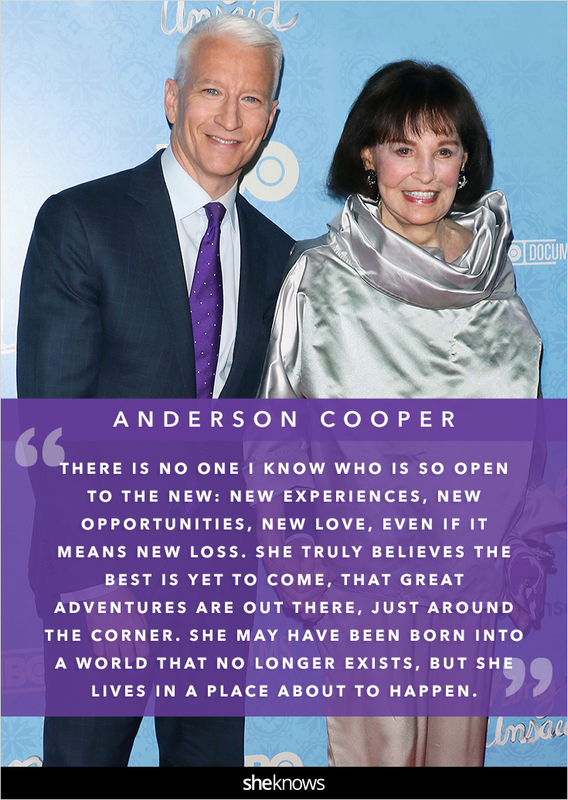 Anderson paid the most glorious tribute to his mother, Gloria Vanderbilt, in her biography's foreword. And it's something we can all relate to: When we're feeling lost, your mom will always find a way to guide you and rekindle your excitement for life. Ben sat down with Us Weekly and opened up about his devotion to his mother. It's something all mothers have repeated to us, too: Put yourself first, but always be kind. 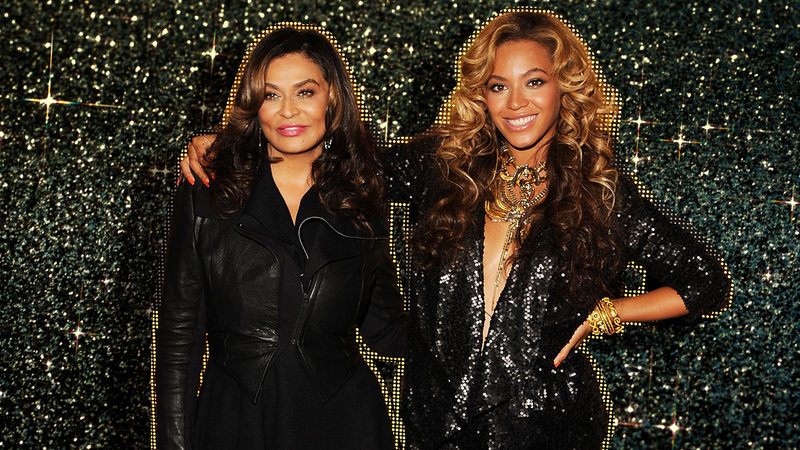 Beyoncé confided in Oprah that she was raised by a wise — and funny — mother. And what she says about how Tina's everything she wanted to be rings true for us all. 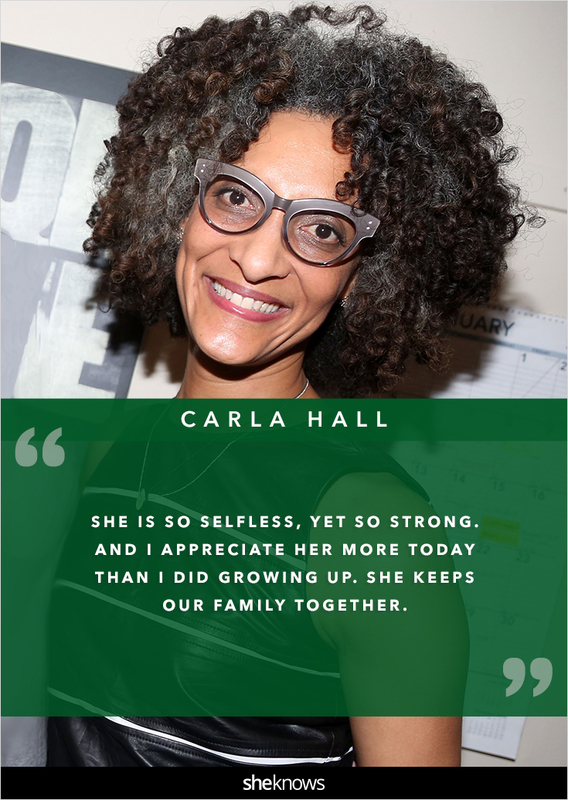 Carla shared with us that her mother is the glue of her family. "She is so selfless, yet so strong" are perfect words to describe all moms. Channing was bursting with pride when he told the New York Daily News how his mom always has his back. It's wise advice, too: "Be a sponge." 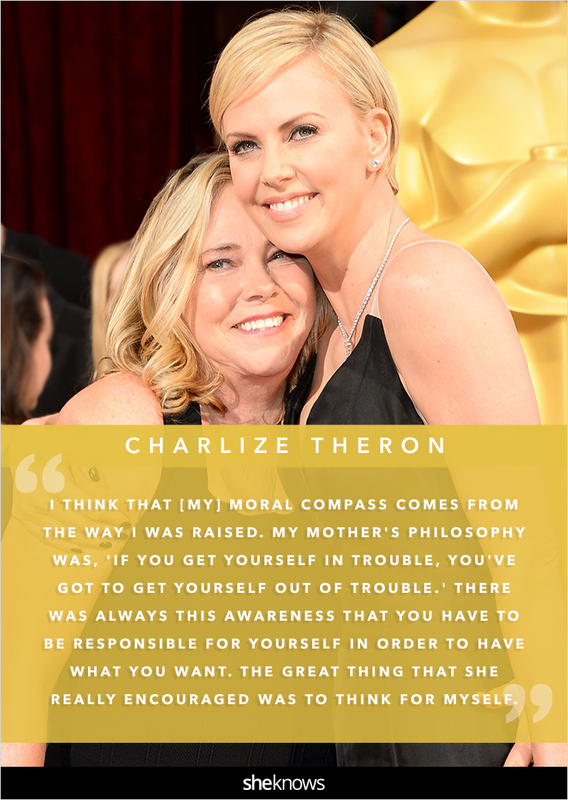 Headstrong Charlize told SF Gate wonderful things about the direction her mother gave her. It's something we've all heard a thousand times from our own moms, and it always rings true. During an interview with us, Debra said that because of her mom, she can do anything. "There's nothing you can't do," her mom told her, and we all know that same pep talk from our own moms so well. Demi set the Daily Record straight about how important her mother is in her life. The words that resonate with us all? "My mother is everything to me." Denzel told Oprah how grateful he was for his down-to-earth mom. It's one of the most impressive things moms do, too, the "I love you and I'm proud of your success, but you're still my kid, so get your chores done now" switch. Emma shared with Teen Hollywood how lucky she feels to have the mom she has. "Emotional barometer" is the perfect way to describe Mom, too. 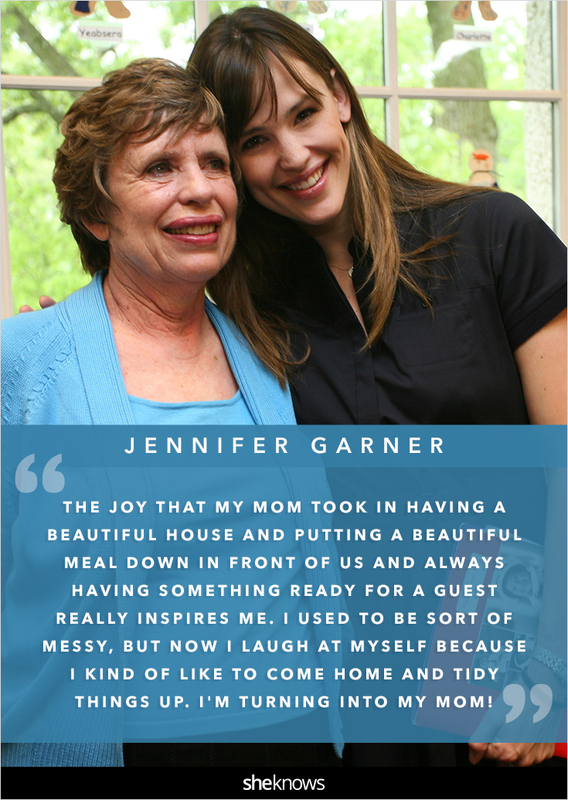 Jen spoke to Good Housekeeping lovingly about her and her mom’s similarities. It's a realization we all face at some point in our lives: that moment when we become just like our mothers. With gratitude, Justin explained to The Tonight Show’s Jay Leno that he owes everything to his mom. It's a simple act, really — believe in someone — and all moms have mastered it. When talking about her mother, Goldie Hawn, Kate could not say enough good things to People. "She just wanted us to be doing something that made us happy": Truer words have never been spoken. 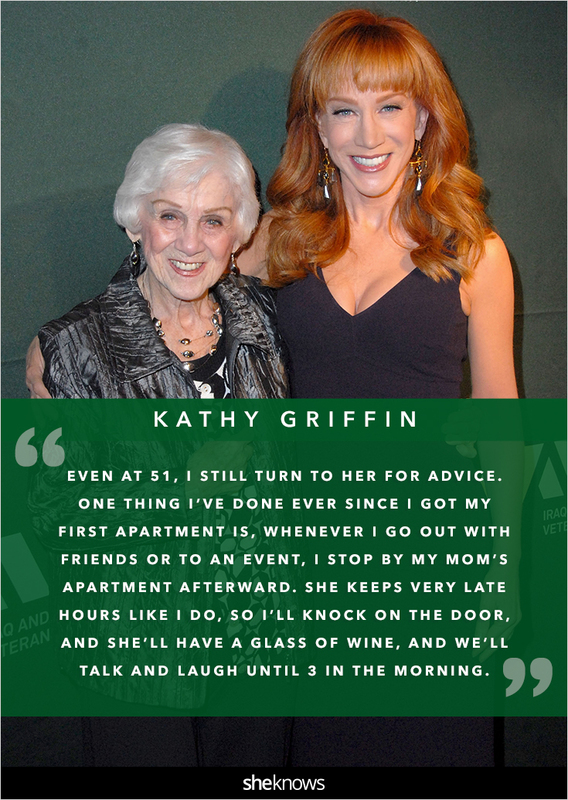 Kathy spoke to Gourmet about her mom, Maggie, who's also her best friend. She told them, "At 51, I still turn to her for advice," and it's so true — no matter how old you get, Mom is seemingly this endless pool of wisdom because she's seen and done it all. Katie shared with us why her mother is a dream come true, saying, "She raised me to believe in myself" — and it's advice moms are great at doling out. Kelsea gave us the heads-up about what a role model her mom is, saying, "She teaches me every day how to be a strong and empowered woman." And what better woman to learn from than Mom? Matthew couldn’t say enough to Oprah about his mother's positive outlook. Her tough love feels pretty familiar, right? Melissa shared her late mother Joan’s eternal optimism with Good Housekeeping, saying, "The best advice my mother ever gave me was to never give up." Moms have impeccable timing when saying these words, too. Minka told us in an interview how her mom taught her how to find the fun in everything she did. Because, truly, if you aren't having fun, what's the point? Rashida opened up to Oprah about her undying love for her mother, Peggy Lipton. She calls her mom her partner in crime, and we can't agree more about our own. 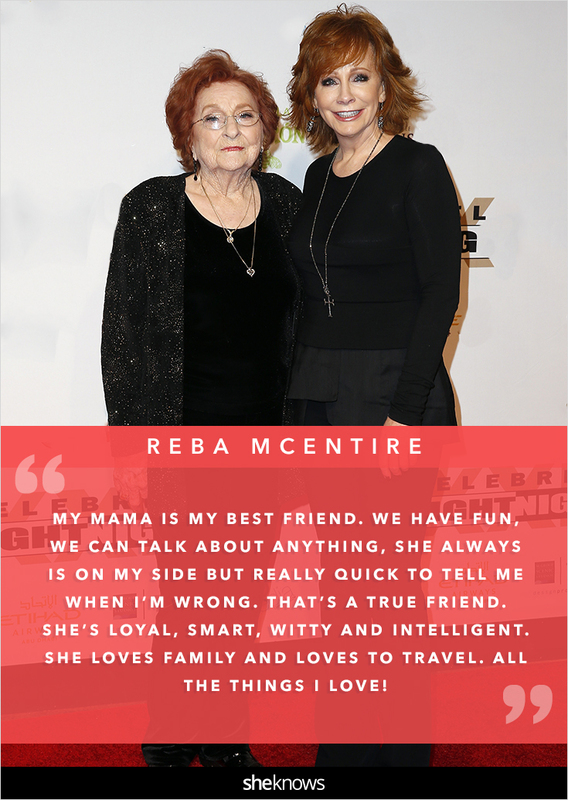 Reba gushed to us in an interview about all she loves about her mama, saying, "She always is on my side, but really quick to tell me when I'm wrong." Ah, so true. Ryan revealed to The Sun that he gets his strength from his mother and that she taught him to respect women. Great advice, Mama Gosling. Salma sang her mother's praises to Oprah, saying, "I love her for being brave and for having such an important voice in my life." It's true, and we should always remember to pay the most attention to anything Mom has to say. She has tons of fans and a high-profile squad, but Taylor made it clear to Us Weekly that her mom is her BFF. Girl, same. 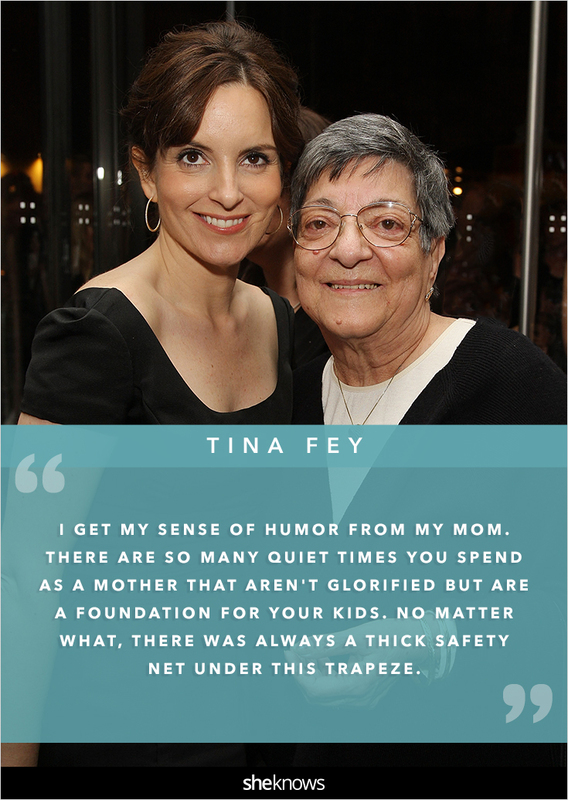 Tina wanted readers of Harper's Bazaar to know she got her sense of humor and so much more from her mom. It's truly a balancing act being a mom, and we have no idea how she does it. Lastly, Zac made sure People understood why his mom always comes first — and her advice is spot-on.